iconic aircraft of WWII. Here it is. 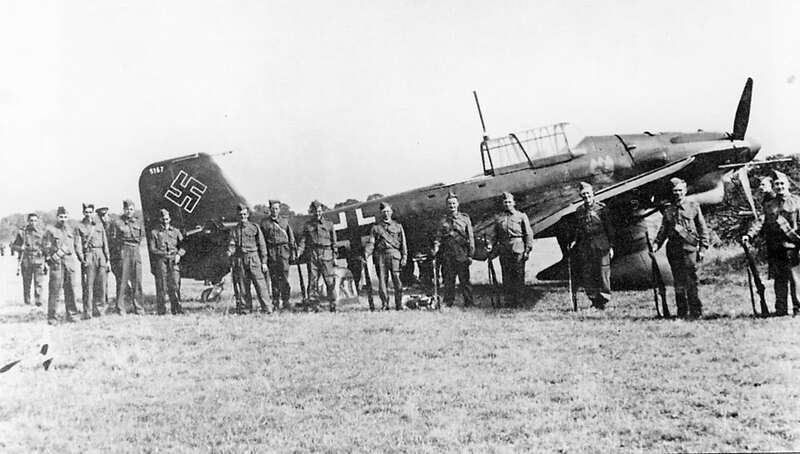 Since I was a kid there was one plane from WWII I wanted to see fly – a Stuka. Dismay is the best way to describe my feelings when I first discovered there were none to be had. There was no way that could be true, I thought, but historians told me otherwise. Still, I knew in my heart they were wrong. Here is the wreckage that has apparently been rebuilt by FHC. the best of the pieces they had and went with the R-4. People chuckled when I said it was the single most iconic aircraft of WWII. I still challenge anyone to prove me wrong. Of course, what is restored depends on the cool to dollars ratio. Years ago, as the world grew more insane with political correctness, museums actually removed authentic paint schemes from WWII German aircraft. 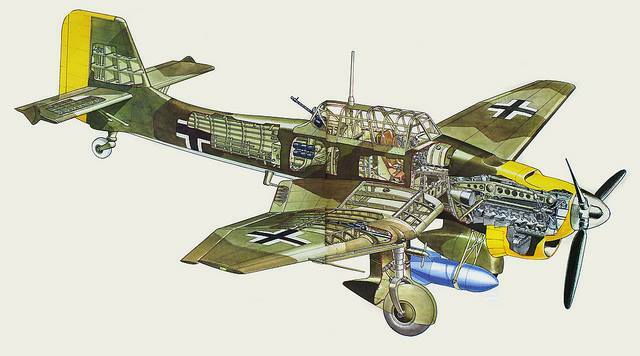 This insanity made aircraft of the Luftwaffe even riskier when it came to high dollar rebuilds. Therefore, only someone who was among the wealthiest of people, who was a visionary, and really didn’t care what snowflakes thought about WWII history would dare rebuild a Stuka. The dollars to cool ratio would be a disaster for anyone except one man, Paul Allen. I first learned about his secret project well over ten years ago. Numerous times I wrote about it. Then I asked, no, I begged everyone I knew associated with Allen’s museum to throw me a bone, posed open questions for anonymous information, and even sent a few letters, numerous emails, and more, and got nothing. Along the way I told those who would listen that it would someday arrive as if magic. A few friends paid attention and notified me when Allen’s team was going to be in Chicago to “clean” the one hanging in a museum there. 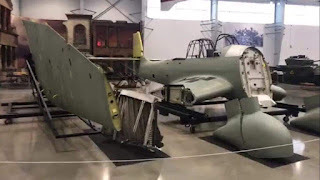 Graciously, the team moved many displays, brought the plane down from the ceiling, disassembled much of the Stuka to “clean” inside and out, then put everything back very rapidly and with as much secrecy as possible, and paid for it all. How kind of them. Later another friend sent me one of Kermit’s videos where he accidentally recorded its engine, post overhaul, at Vintage V-12s then kindly bleeped it out understanding the secrecy Paul Allen demanded. This project has been there all along and ever since I found out about it I’ve discussed it. However, just as I said, today the plane appeared out of nowhere, and people are in total dismay. Folks who spend their days and nights following warbirds seem stunned as if they had no idea. Truth be told, they didn’t. Until it existed in photos they could not deny, it wasn’t as cool as aviation’s version of cat videos. Therefore. 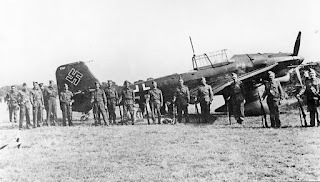 while watching the one millionth Mustang video, skimming T-6 formation images, or oohing and ahhing over another “wall of fire” photo, Paul Allen delivered, even in death, a Stuka as if by magic. I regret never knowing Paul Allen. I tried numerous times to catch him to very quickly and quietly tell him thanks for doing this project even though I knew he couldn’t and wouldn’t admit it. However, I could never pull it off. I only hope those who knew him well, who are in charge of the dollars now, will make it fly. To not do so would stamp out a dream I know for sure the two of us shared – to return an example of the single most iconic aircraft of WWII to the air. Note: Everyone seems to ask about the siren. Paul Allen insisted on perfect restorations. If the tradition continues with the Stuka, and they chose to rebuild #0875709 instead of one of the other projects purchased, you will never hear the siren as that model did not have one. 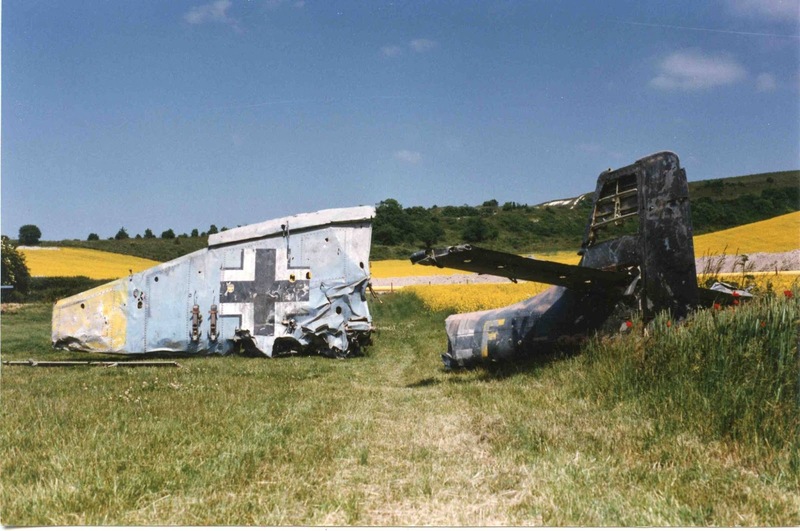 Yes, as with everything WWII, there were field modifications, random parts built onto earlier and later models, but strictly speaking, if restored correctly it will not have one. The R version was essentially a long range model and the siren significantly reduced speed with its increased drag. Update: I have always believed this to be an R-2 but as you can see in the following link they say it is an R-4. 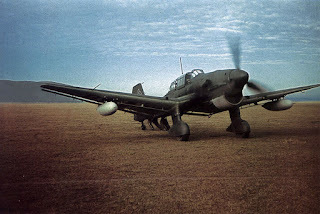 R-4s were Stuka rarities so that makes it even more unique. Going back through all I have collected I am even more interested to learn the true story of the restoration. Much of the data I have was either reported incorrectly when it was first pulled from Russia, the Deutsches Technik Museum is good at keeping secrets, or maybe another projects exists as leftovers, or maybe I transposed incorrectly? Click here to see a release from the Flying Heritage Collection.